Today there are over 500 different brands of energy drinks on the market. However, these drinks have been known to cause death. 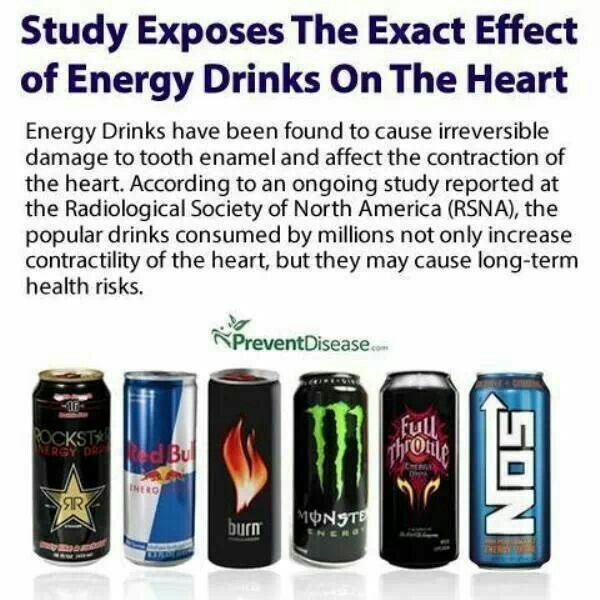 A recent study has shown that drinking just 32 ounces of energy drinks a day can cause potentially harmful changes to heart function as well as blood pressure. These changes go well beyond what caffeine can do alone. Energy drinks are notorious for containing other energy blends than just caffeine, these ingredients are often questionable in nature. “Some of these ingredients (including taurine and guarana) have not been FDA-approved as safe in the food supply, and few studies have tested the effects of caffeine consumption together with these ‘novelty’ ingredients.” Dr. Jennifer L. Harris from University of Connecticut’s Rudd Center for Food Policy and Obesity. Energy drinks damage the cardiovascular system because energy drinks are considered ‘supplements’ the nutrition labeling regulations are different from those of the regulations for ‘beverages’. Energy drinks are made from “proprietary energy blends” which is a form of concentrated caffeine, whose side effects include changing blood pressure and straining the heart. The difference between a cup of coffee and an energy drink have been observed with and EKG machine to have dramatic effects on the cardiovascular system. Whats even more concerning is the way they are marketed to young boys. In the past few years ER visits related to energy drinks have risen with adolescents. More than half the cases of reported illness from energy drinks have come from children. 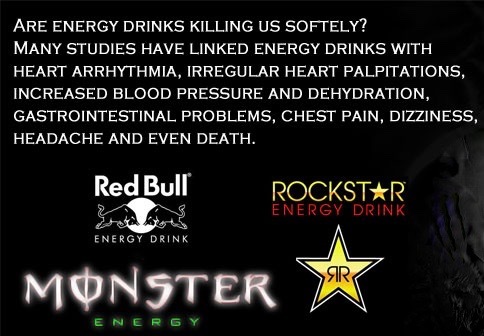 Do yourself and your family a favor and get rid of the energy drinks! Set an example for your children, and hopefully they will not fall into this bad habit.